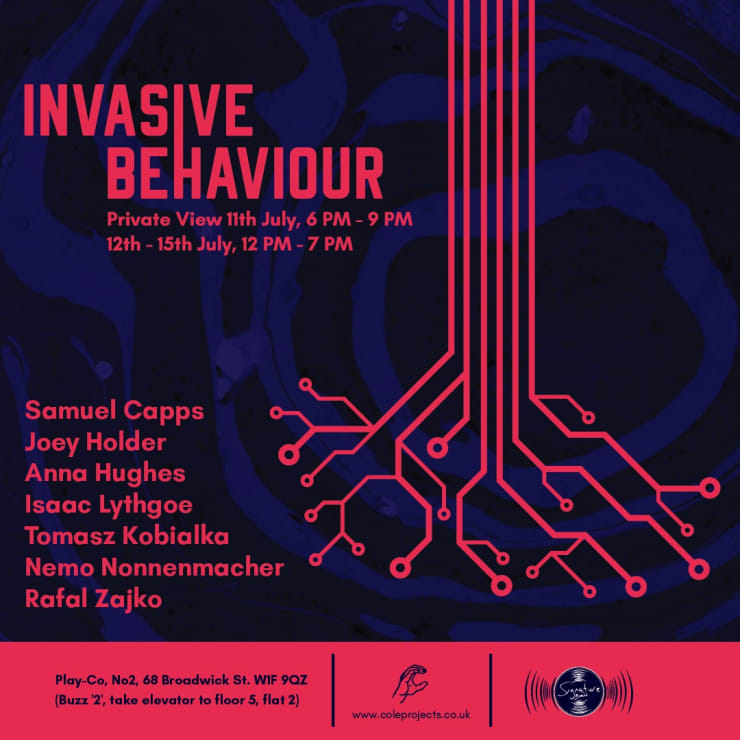 A group exhibition featuring the works of seven contemporary artists: Samuel Capps, Joey Holder, Anna Hughes, Tomasz Kobialka, Isaac Lythgoe, Nemo Nonnenmacher and Rafal Zajko whose practice explores the intersection between nature and culture, reflecting an invasive behaviour that encompasses new technological and aesthetic attributes. Seeds of an evolving subjectivity that began with the hybridisation of nature and technology have sprouted a new consciousness. In so doing they force us to question that which we thought was purely biological, suggesting a transformative and constantly changing materiality possessed by all animals, human and nonhuman alike.